once upon a thread: our contribution! Do you follow Katy Dill’s Once Upon a Thread series? So cute. 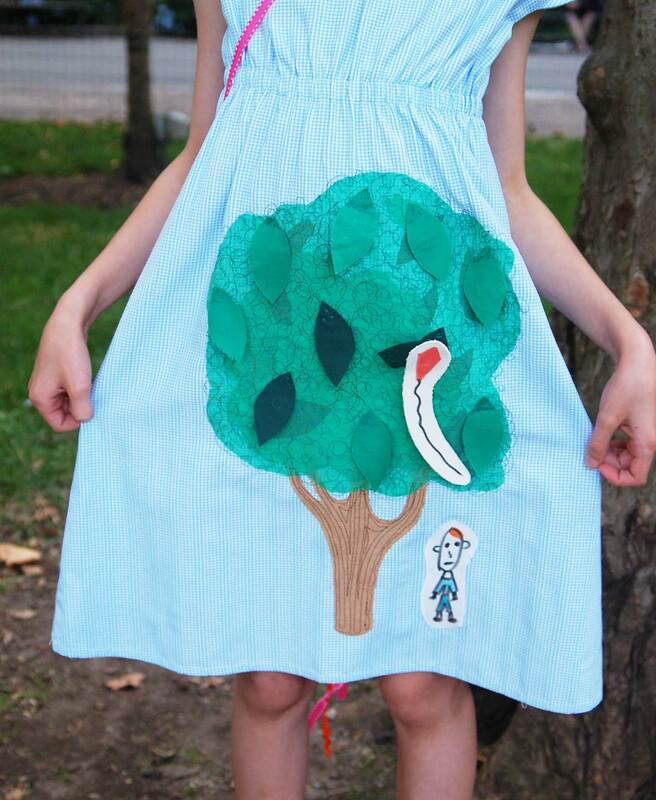 It’s all about book-inspired clothing made for kids. I think my favorite contribution to the series, ever, is the Harold and the Purple Crayon-themed Sunday Brunch Jacket Katy herself made a few seasons ago. But there are so many creative contributions to this series, it’s a ton of fun to see how people were inspired and where they took their sewing. 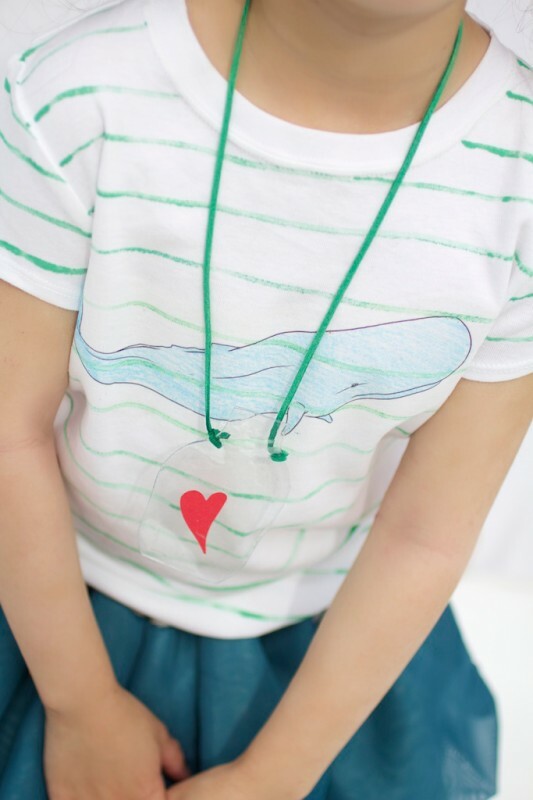 Like this one: a skirt and fantastic hand-painted T-shirt (love the bottle necklace!) inspired by Oliver Jeffer’s The Heart in the Bottle and sewn by Ruffles and Such. I want to wear this T-shirt! And what about Skippyjon Jones by Delia Creates, from last week? 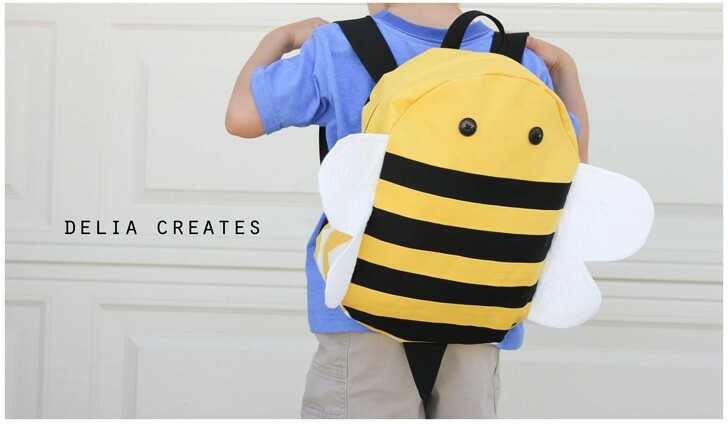 How great is that bumble bee backpack (converted from the Penguin Backpack pattern in Little Things to Sew)! Be sure to click through on these links. All the photos are amazing and do such a cute job of re-telling the story. Well, this year Katy asked me if I’d like to contribute, and much as I probably should have said no, what with being in the middle of fall pattern development and all the other deadlines we’ve been juggling over here, I just couldn’t resist. S and I really wanted to do this together, and we knew almost immediately which book we wanted to feature. Head over to No Big Dill to see the full post. It was so much fun to work on this together! The photo below is a little hint for what we did, but you need to see the final result and photos for the full effect. Another hint: we really love Oliver Jeffers! You can contribute to these series, too. Katy has set up a Flickr group where you can post your own Once Upon a Thread book-themed sewing projects. I hope you’ll join us over there! And if you sew something with our patterns don’t forget to post it to the Oliver + S Flickr group too; we really want to see what you make! I loved your creation and loved that S was involved in all of it. It’s Stuck! My husband swears it must be based on a certain incident involving his brother, himself, a palm tree and a frisbee!